The season keeps on changing and we must change our food/eating habit according to the season. Most of the people recommend to take light food during summer season & that’s true. Because the food that is less in calorie is easy to digest and you will fee light throughout the day. Nature has gifted us abundant of food to help us keep healthy during each season, we have to be selective & wise enough the choose the right food in order to make most of our diet. Scorching sun, sweat and dehydrated skin indicate the arrival of summer. But, there are some summer fruits in India that could make an important part of your diet and enjoy the respite from scorching summer. The name of this fruit indicated the presence of water in an adequate amount. Lycopene content in the fruit helps in preventing sun damage to the skin cell. Oranges are considered beneficial in avoiding muscle cramps. Availability of Potassium in this citrus fruit helps in refilling the lost potassium through sweat. Rich dietary fibres of Plums help in improving the digestion system. Vitamin C in the fruit also helps in prevention of contagious diseases during summer and strengthens the immune system. One fruit fulfilling the requirement of vitamins, protein, citric acid, fat, iron and phosphorus, required by the human body during summers. The high content of potassium in Fig helps in boosting your health and keeps you lively throughout the day. The presence of vitamin C in Guava makes it effective in preventing diarrhoea, dysentery, cough, cold, etc. This fruit is also sodium-free with low calories and fat. The rich water content and extremely sweet taste make Honeydew Melon simply unavoidable in summers. 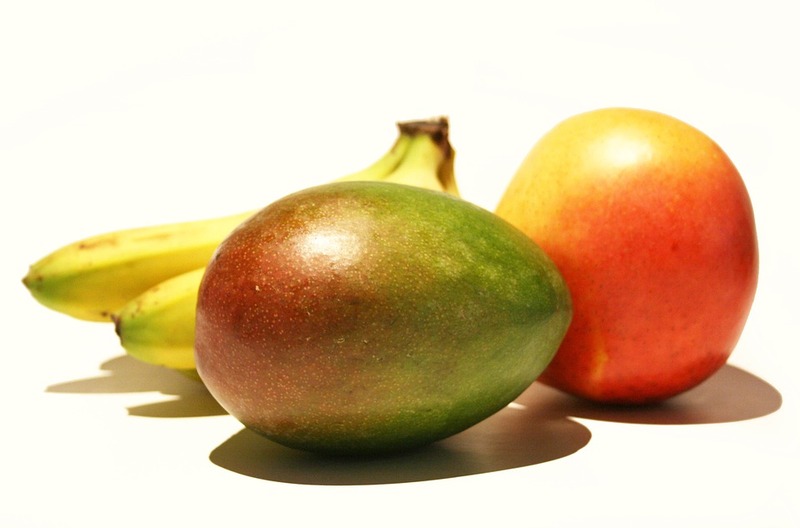 The fruit is also rich in the content of essential nutrients like pro-vitamin A, Vitamin C, zinc and potassium. The sweet and fleshy Papaya, rich presence of enzymes like chymopapain and papain, is widely demanded in summers as it helps in the proper digestion of proteins. Gooseberries simply become unavoidable during summers due to their high nutritional content containing phosphorus, iron, calcium, and Vitamin C.
High concentrations of Vitamin C and beta-carotene make Peach a skin-friendly fruit. Bananas have rich content of iron and potassium that makes highly nutritious food to keep you energetic and active all day long. This is a fruit of early summers. Apricots are rich in Vitamin C, potassium, iron, magnesium, beta-carotene, and fibre. During summers lemons, rich in Vitamin C, are widely advised to be taken as juice with salt or sugar mixed with water/soda to quench your thirst. The king of fruits, Mango, it must be included in the diet during summers as it is rich in the content of selenium and iron. Pineapples are good to be included in the summer diet as they contain Bromelain enzyme that helps in the digestion of fats and proteins. Anti-inflammatory properties and nutritional content make it an awesome choice this summer. Conclusion- Get close to the natural food/fruits. Fruits available during the summer season are extremely beneficial for our health during the summers. Eat lots of fruits during the summer as fruits contain natural sugar & all essential elements that keep you hydrated. Do you have questions regarding the food/fruits to eat during the summer season, please get in touch with me.